“There are three stages to becoming a Vampire. Stage one: A Vampire has to bite a human—then the Vampyrric virus spreads through the bloodstream, causing the cells to mutate, which causes the human body to evolve. “Stage two: The person then has to drink a Vampire’s blood. 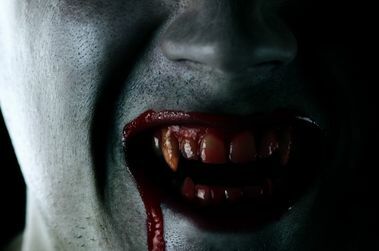 Drinking a Vampire’s blood after being infected is like taking an overdose. The venom inside the Vampire’s blood kills the human. Cranberry Blood is an Amazon Australian Best Seller! "Utterly excellent! So refreshing to find a brilliant, British talent, that can stand beside the paranormal US and Canadian phenomenons!" "I have been looking forward to reading this book. However, I was completely blown away by this story! I started to read and didn't stop until I had read the whole thing in one sitting; I was totally riveted by the storyline and the subplots within. Elizabeth Morgan has written a fast paced and exciting start to what would seem to be a fantastic series." "If you enjoy reading about werewolves and vampires, I highly recommend this unique story filled with mystery, secrets, non-stop action and great characters. I fell in love with Brendan on page 10 and Heather is a feisty, very likeable heroine." 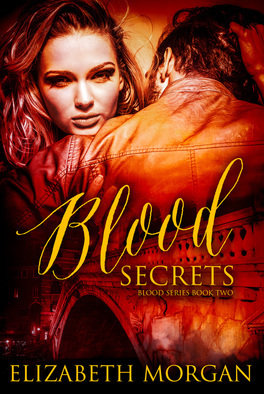 "Cranberry Blood picks up after She Wolf and boy it was action packed. The plot was wicked with all its twist and turns that made this book such an emotional ride." Cranberry Blood is an ARe Best Seller! "Uncovering the intricacies of Elizabeth’s world was almost as pleasurable as the non-stop action! I couldn’t help but marvel at the amount of detail that’s seamlessly crammed into this book without interrupting the flow of the story. Cranberry Blood is a wild ride that’s sure to entertain even the most difficult Urban Fantasy connoisseur with its innovation and creativity." "After reading She-Wolf, the prequel to the Blood series, I could not wait to begin CRANBERRY BLOOD. I was eager to have answers to questions that arose in the prequel. I was not disappointed as I got more than I had bargained for. This story was awesome and I am not sure I can adequately put into words how incredible it was. From the moment I began reading, I was pulled into the story. I did not want to put it down until the end. If you are a fan of werewolves and vampires and you are looking for a unique read then look no further. CRANBERRY BLOOD will offer you all that you need. However, be warned. Once you start, you will not be able to put it down. " "Written with style and passion, this unique paranormal adventure brings entertainment with a bang. Bold and gripping; combining Werewolves and Vampires, this exciting mix of creatures brings yet another exceptional story to life."